I am angry. I have been watching the opioid crisis “epidemic” for quite a while now. Congress just passed legislation to reform everything on opioids. I have read the plan and I see so many issues with what happened. I am deeply concerned at how it is going to affect chronic illness patients and I believes it shows exactly how the country views mental health and chronic illness as a whole. The money spent is a stopgap. The call was for $20 billion dollars and the bill didn’t even get half that. Quoting the Washington Post, “Yet many public health advocates and experts say it doesn’t offer the one thing truly needed: The massive amount of funding needed to fully combat a crisis that deeply affects rural and urban communities across America.” It goes on to say how little prepared we are for mental health in the medical system. This is not the overhaul we need to fix the broken mental care that so many desperately need. This bill will only help people in the form of a grant which may or may not be available to everyone. Grants are competitive and once used up, there is no more help until more money comes. Congress also had to deal with a little known rule known as Institutions for Mental Diseases exclusion rule. It had prohibited Medicaid from reimbursing substance abuse centers with a certain number of beds (16 or more) for patients with mental illness. Why this obscure rule that is decades old shows exactly how broken and old the system has become. An even bigger concern of mine is who is the oversight on this money now to be released? Are we watching were this money is going? Is it even being used properly? I know close friends who get run through mental health “mills” that don’t treat patients and are more concerned with getting money for the number of patients they process. This is going to feed into this broken system and we are going to see a rise in the number of claims in an effort to get a piece of this pie. In the same thought, the number of opioid addictions are declining, however heroin overdose is rising. The CDC says that in 2017, out of 72,000 overdose deaths, 30,000 were caused by synthetic opioids. This is not prescribed medications. This is not for the chronic pain users. This is a synthetic compound that is in laced heroin and is an illegal drug. Almost all the chronic illness patients I know are responsible people and do not abuse their medication. These are the statistics that are being used against the people that actually need help. I look at these actions and I know it is an important election year. I feel this is mainly a political grandstand and we are showing that we are not serious about reform. Chronic illness patients are once again overlooked and not even considered in the bill. It focuses on how opioids are a gateway to addiction. Congress and the general public view us now as heroin users and we need to be treated for our addiction and not looking for ways to help us except with small mental health improvements. That also shows they believe that chronic pain and other similar afflictions are viewed as mental health issues and not a disease. We can view addiction as a disease but not something like Fibromyalgia, that is all in your head. Please senators, congress, anyone in government, come live in my head or body for a day. I have never wanted to do this before but I wish you could feel the pain me and so many others are in daily so you could understand. I am so tired of fighting. I fight my body each and every day. I fight to get out of bed. I fight to take my pills. I fight to get the energy to even move off the couch. I spend so much energy on just making it through the day. Now, I have even more to fight. I have been on my medication for over three years now. I have been steadily dropping the dose in order to not raise so much attention as to how much medication I take. This helps prevent the pharmacy techs not look at me with quite the judgmental eyes. I am on a third of what my medication should be. I do this at the cost of my own personal comfort. I trade my comfort and ability to be somewhat normal so I don’t have to be judged on what medication I have to take and how much. I am entered on databases. I have to sign a controlled substance sheet now to document how much I have. I have to have my drivers licence scanned and copied. I am monitored on my usage. It reached a new level today. I found out my doctor is retiring in a few weeks. It is always hard finding a good doctor. Someone who believes you and still finds ways to motivate you. Someone who cares and wants to help your well being. This is not a great time for me. I called to get my last set of medication from my doctor. I am trying to prepare for my search for a new doctor. I call in to the pharmacy and request a refill. They deny me saying I need to call my doctor to get approval. I call my doctor and they fax everything over. Call back to the pharmacy and they say that they don’t have any paperwork. I ask them to check again and give them the exact name and dosage of the medication. They then say it has been denied by my insurance. I tell my information again and that if need be, I’ll pay for the medication out of my own pocket. They then say I have been flagged for to much medication and that I need to use what I have left. My medication will be filled and waiting for me later this afternoon. My fears of what waits for me next time I need to get a refill are very real. I fight so much to just exist in a a relatively pain-reduced (I am never pain-free) world. Why must I fight bad doctors, bad pharmacies, and now the government tracking me? I am so tired, and it is not the just the fibromyalgia and chronic fatigue syndrome. I just want to get the help I need. I just want people to believe me. I am almost to the point of begging for help at times because people don’t seem to care. I wish I could explain it better. I wish I didn’t have to fight. Hell, I wish I didn’t have this chronic illness and had to take medication with the wonderful side effects. I already have such a love/hate relationship with having to take it, why must it be made worse with fighting to even receive it? This is my story. This is my life. Its probably going to be on my tombstone. I have had a rough start to the year. The whole family has been down with the flu, much like the rest of the nation. We have been recovering and seem to be on the mend. There have been some interesting developments on the writing front I wanted to share with everyone. 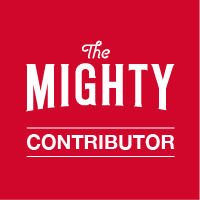 I wrote my opinion on a recent The Mighty article, something I rarely share. They asked what it meant when someone with fibromyalgia says when they say “I’m tired.” I decided to share my personal experiences and it got put in the article which you can read here. I then saw a few more articles asking people’s opinions on a few other topics but I felt I had said enough. I was emailed twice asking to comment on two different subjects. The first was about a new opioid drug research and what I had thought about it. I was flattered and agreed to share. I was then asked to share a photo of what a symptom of my illness looks like. I was hesitant to share but with being asked I felt obliged to answer. Both links are below. It has been an interesting month and I have been proud of myself and all of you! Thank you all for supporting me on this and reading. I know that today there was a HUGE influx of readers from the UK and I wanted to give a shout out to you all (or ya’ll as we say in the southern USA)! I wanted to let everyone know about my donation button where you can donate through PayPal. It has been a great start to the year and once again thank you all from the bottom of my heart. 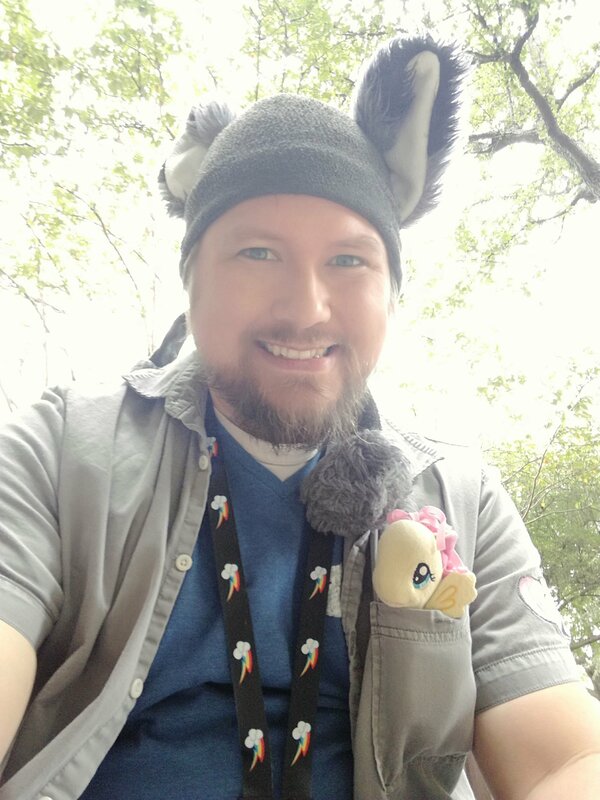 I am recovering from my last convention and am trying to regain lost rest and sleep. I want to thank everyone who came out to visit and I plan on special post for all of you. I am humbled and honored by the response that was given. It meant as much to me as to you. I have been diagnosed Fibromyalgia, panic disorder, insomnia, and quite a few other conditions for 5 years now. I have experienced a lot and have struggled to find the help I need to make it through my day to day routine much less when life throws me curve balls. I have tried and put into place all manner of methods of managing my conditions. I have changed diet, put in a modified exercise regiment, and adjusted my life to fit my condition. I also take prescribed opioids. News outlets have been reporting on the “Opioid Crisis” that has arisen. They talk about the real effects on people’s lives. They talk about the families being torn apart with the misuse of the drug. They are representing every side of the issue. I, like many other chronic illness sufferers, rely on the use of these drugs to lead somewhat regular lives. Understandably we do not represent all responsible opioid use. However, we do regularly get added to the group of opioid abusers. The news loves to report the numbers of total users or the max number of prescribed people in US. Using these numbers all kinds of data can be thrown around as to the approximate number of abusers. I am not ignoring the rising numbers of opioid related deaths, I fear that too many people are caught up in the panic and it is hurting the people who need the help. I have recently changed pharmacies due to the national response. CVS has come out to say that they will not prescribe more than a weeks worth of an opioid to cut down on the number of pills in the public. This hurts in several ways. I now have more co-pays to look forward to paying. I now have the stress of going to the pharmacy once a week instead of once a month. I get to be faced with the pharmacy techs who judge me on my condition. They have to evaluate what I take, how many I take, and how often I take it to ensure that I am doing everything correctly. It can be humiliating and debilitating. It can also lead to them to refusing to fill a medication. When I was first being diagnosed, I had a tech tell me I couldn’t have any more medication, even though I was taking them as prescribed (Post is here “Anxiety now?“). I have also been through the panic of not being able to see the doctor in time or canceling my appointment so I end up running out before I can get the help I need (Oh Day of days). It is so tight now, my new doctor has a new form that I had to fill out saying I have to bring all my meds into the office each visit and be subjected to random pill count checks. This is a crisis. My crisis. My own personal war inside me. I have to fight to get help. I have to fight to get time to go to the doctor each time. Taking off work to go see a doctor takes a lot of time and most jobs are not forgiving. I have to look at what I have and ration. I have several medications that are “As needed”. Do I take them now when I am having a rough day or do I save it in case I have a worse day? Why do I have to choose? Who is speaking for me? For us? I am only one small voice on a small platform. Don’t forget us in the crisis.